More than just food and shelter, our programs help break the cycle of homelessness and restore lives for the long-term. 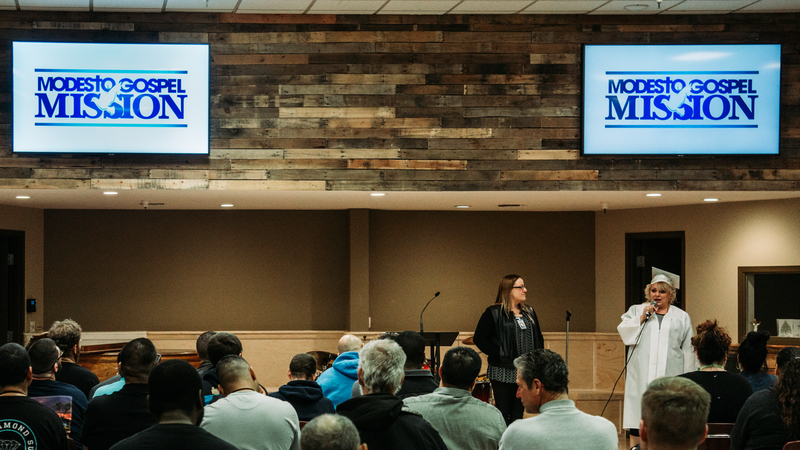 Building off of a foundation of transformation through Jesus Christ, the New Life Program exists to encourage men and women as they prepare for their return to society. The New Life Program is designed to help individuals escape homelessness through practical spiritual, emotional, social, educational, vocational, and financial teaching and encouragement. During this 18-month program, program members rebuild work ethic through simple 8-hour workdays of odd jobs around the facilities; meet weekly with chaplains; attend daily Bible studies; meet for financial advising once a week; and are encouraged to find a local church to attend. After 12 months in the program, members are able to look for employment, and when they find employment they are given 6 months to a year to stay in transition in order to save up money, pay off past debts, purchase a vehicle, and find independent housing. The completion of the 18-month New Life Program culminates in a graduation ceremony that members of the Mission, friends, and family attend to celebrate their new found life and accomplishments. The New Beginnings Program provides a safe environment for men and women to eradicate dangerous substances from themselves by offering a 30-day retreat/refuge from outside influences. During this time, a chaplain will be assigned to each individual to help identify the needs of each program participant, and to support them on their road to recovery. A certificate of achievement is awarded after completion of New Beginnings, and program participants are offered the opportunity to advance to the New Life Program. If an individual completes New Beginnings but does not wish to join the New Life Program, they are eligible to stay 30 days in our emergency shelter program. 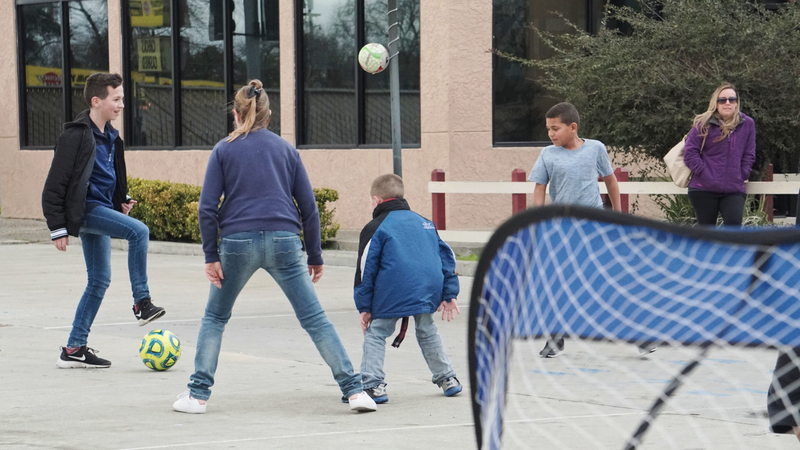 Freedom Road is a structured day program that provides a safe and predictable environment where homeless men and women can find refuge from the streets of Modesto. The program began in January 2018, and aims to build and strengthen supportive relationships with other program participants as well as with Modesto Gospel Mission staff. 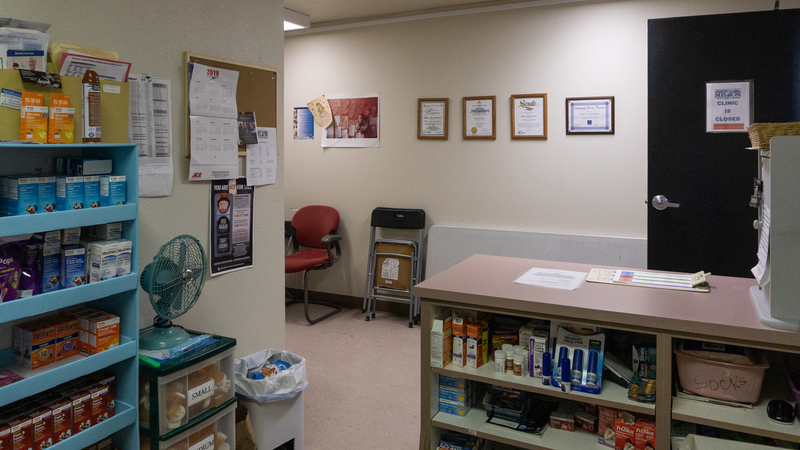 Freedom Road provides case management services, meals, community advocacy, life skills classes and GED services, recreational activities, and peer support on a daily basis to the homeless of Stanislaus county. 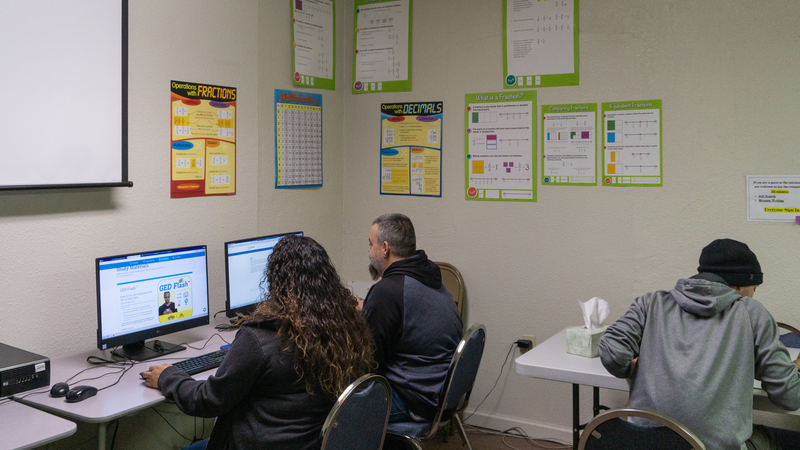 Open to the public 5 days a week, our Children & Youth Center provides tutoring, art classes, reading assistance, and other recreational activities to the youth in Stanislaus county. Additionally, a daily devotional and free dinner are provided to all who attend. The Youth Center is open for regular activities from 2:30pm to 7pm. On Friday nights from 9pm to 11pm the Youth Center opens its doors to teens for a program called G.A.T.E. (God’s Anointed Teen Event). G.A.T.E provides community teens a safe place to hang out during a Friday night as a safe alternative during a time most would spend on the streets. The men’s overnight shelter program provides 100 beds for emergency shelter every night. 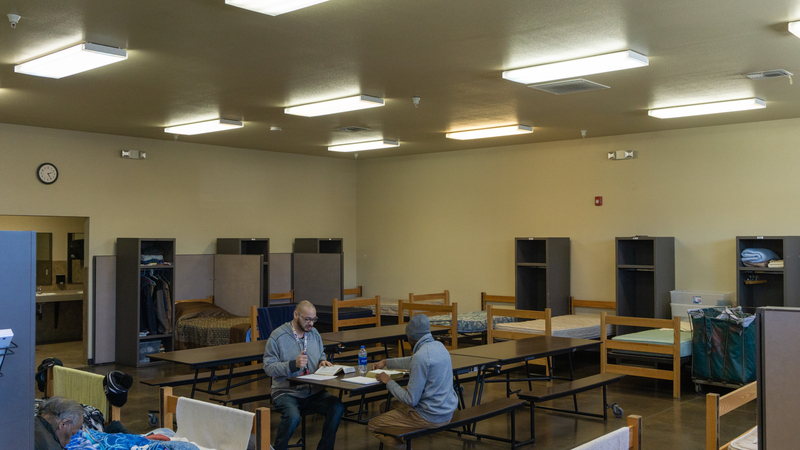 Guests are provided with a safe place to sleep overnight as well as showers, meals, and chapel services during their stay, and case management services are provided to men who consistently come to the Mission for overnight shelter. 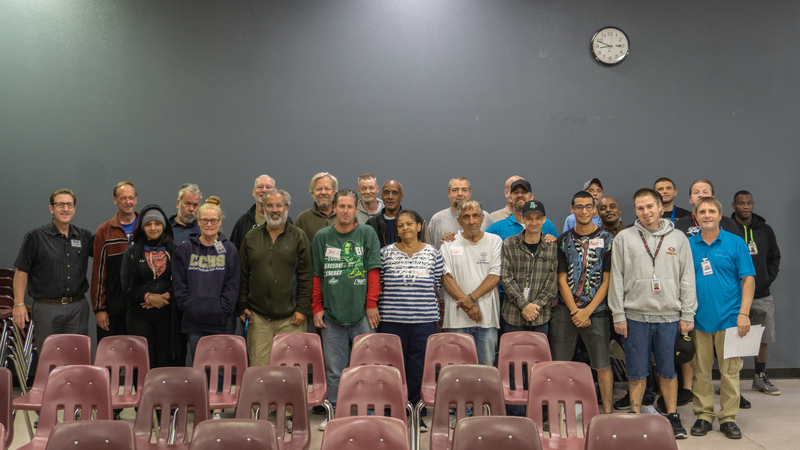 The overnight shelter program aims to be a stepping stone on the road towards permanent housing, and aims to provide hope for the future and provide practical resources for shelter guests as they look for jobs, stable housing, and attempt to transform their lives. 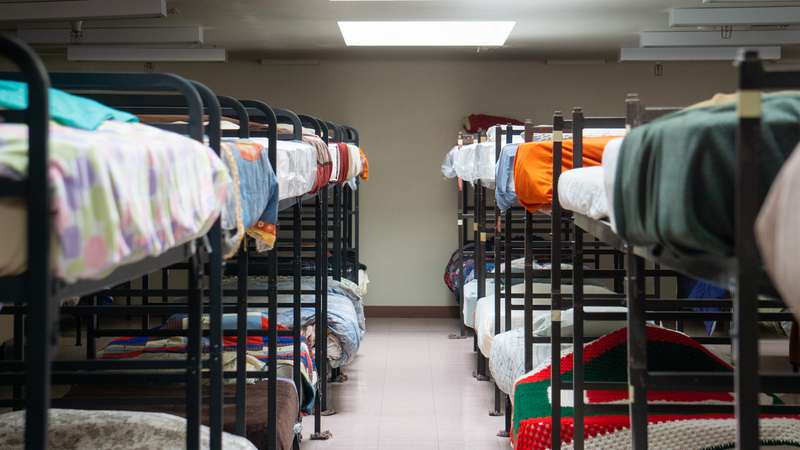 The Mission provides a total of 225 beds for men, women, and children every night. The women’s overnight shelter program provides 75 beds for emergency shelter to women & children. 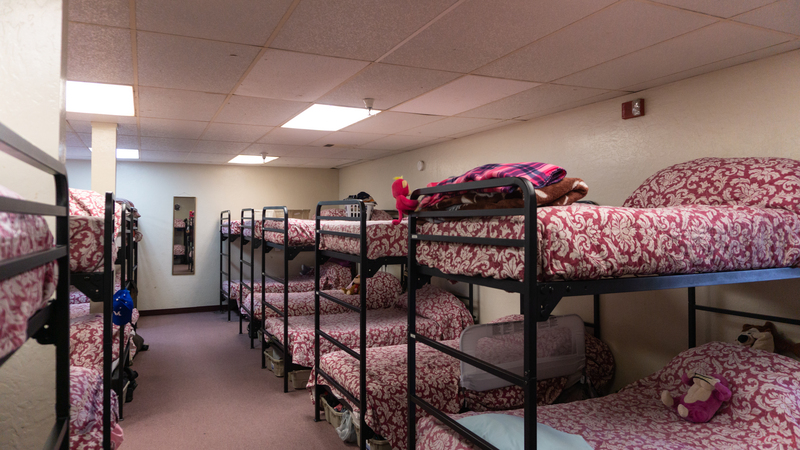 Guests are provided with a safe place to sleep overnight as well as showers, meals, and chapel services during their stay, and case management services are provided to women who consistently come to the Mission for overnight shelter. The Modesto Gospel Mission serves 450 meals a day, 7 days a week, 365 days of the year. We serve 2 breakfasts, 1 lunch, and 2 dinners per day to the poor and homeless in the community. The food served by the Mission is donated by individuals and businesses in the area, and our service provides warm meals to individuals and families where the only meal they may be able to eat that day is from the Mission. During Thanksgiving the Mission serves around 1,000 meals to the community, and at Christmas we serve close to 2,000 meals to men, women, and children during the holidays. Our meal service is a vital part of the Modesto Gospel Mission and could not be what it is today without the help and support of our sponsors and the Stanislaus community. The Modesto Gospel Mission provides a free medical clinic for the uninsured another avenue of hope and healing for the poor and homeless of Stanislaus county. Our free medical clinic is open Tuesday and Thursday evenings and is staffed completely by volunteer medical professionals. The clinic provides uninsured patients with non-threatening medical conditions access to basic medical care resources as well as additional referrals to other agencies. Our Education & Employment Department provides New Life Program members with various tools and resources for as they attempt to better themselves on the road to recovery. This department also attempts to build relationships with local businesses in order to provide employment for men and women currently in transition. New Life Program members can complete their high school diploma online; study for the GED; earn Microsoft Windows applications certification; earn their ServSafe Food Handler certification; study for and take the ServSafe Manager Certification exam; improve their math and reading skills; increase their typing capabilities; and have free access to online and text study materials. We also seek to help the community in their education needs by offering an accredited high school program that can be completed on-line or through text material only if the individual does not have available internet access. In regards to employment, we provide a scholarship program to provide training through area tech schools; actively help with job searching; offer assistance in creating and refining resumes, researching job listings, completing online applications, and registering with job placement sites. In addition to dedicated programs, the Modesto Gospel Mission provides many additional services and resources to those in need.